Readipop is an arts organisation offering workshops which develop creative uses for new digital technology, exploring music, sound, image and beyond. Readipop specialises in work with young people. 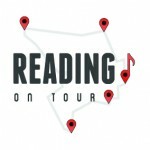 Readipop is based in Reading, UK. Readipop creates innovative arts projects that aim to challenge and inspire people. Readipop aims to promote the development of the arts and in particular music for the benefit of the local community by providing studio space and facilities and by organising events and activities which improve public access to the arts and promote understanding and learning about the creative and technical processes involved in the creation of music. Readipop aims to promote the development of the arts and in particular music for the benefit of the local community by providing studio space and facilities and by organising events and activities which improve public access to the arts and promote understanding and learning about the creative and technical processes involved in the creation of music. Readipop, 35 Milford Road, Reading, RG1 8LG, United Kingdom.